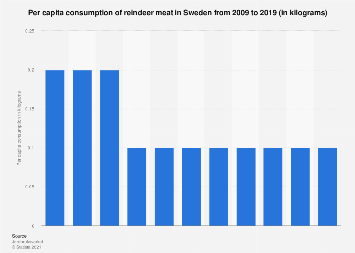 In the run-up to Christmas, some upsetting news has emerged regarding wild populations of reindeer and caribou in the Arctic. Over the past two decades, their numbers have fallen from nearly five million to just 2.1 million animals, according to the latest Arctic Report Card released by the National Oceanic and Atmospheric Administration. That represents a decline of 56 percent since the mid-1990s. Some herds are faring better than others and researchers have found that in some cases, several herds have crashed by more than 90 percent. The drastic decline is due to a complex mix of factors such as hunting, disease, a lack of food and climate change. Even though the Arctic is getting warmer which results in more vegetation for the animals, increasing levels of drought, flies and parasites are taking a toll on them. 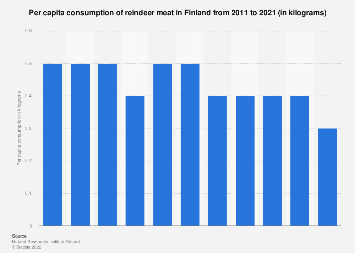 Reindeer and caribou are the same species - Rangifer tarandus - but there are notable differences between them. Caribou are larger elk-like animals that have never been domesticated while reindeer are smaller and were domesticated in northern Eurasia about 20,000 years ago. The grim findings of the report hardly come as a surprise given that the WWF released a global assessment of the health of animal populations all over the world earlier this year, finding that average vertebrate (bird, fish, mammals, amphibians) population has shrunk 60 percent since 1970.